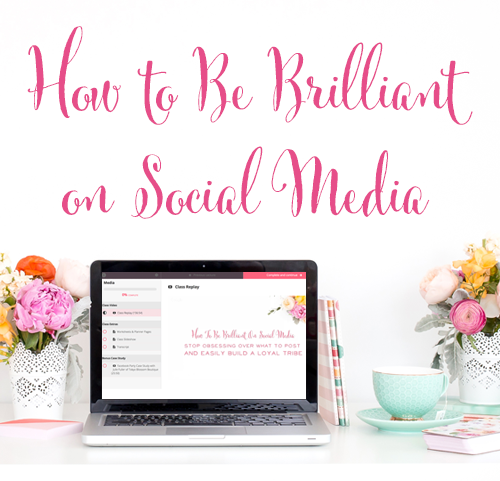 I’ve seen so many rules about using social media in your business…so many rules. There are rules about when to post, how often to post, what to post, what not to post, what kind of videos to post, what lights to use, what colors you can or can’t use… Ugh! How boring. Honestly, I LOVE breaking the rules! It's a guilty pleasure of mine. 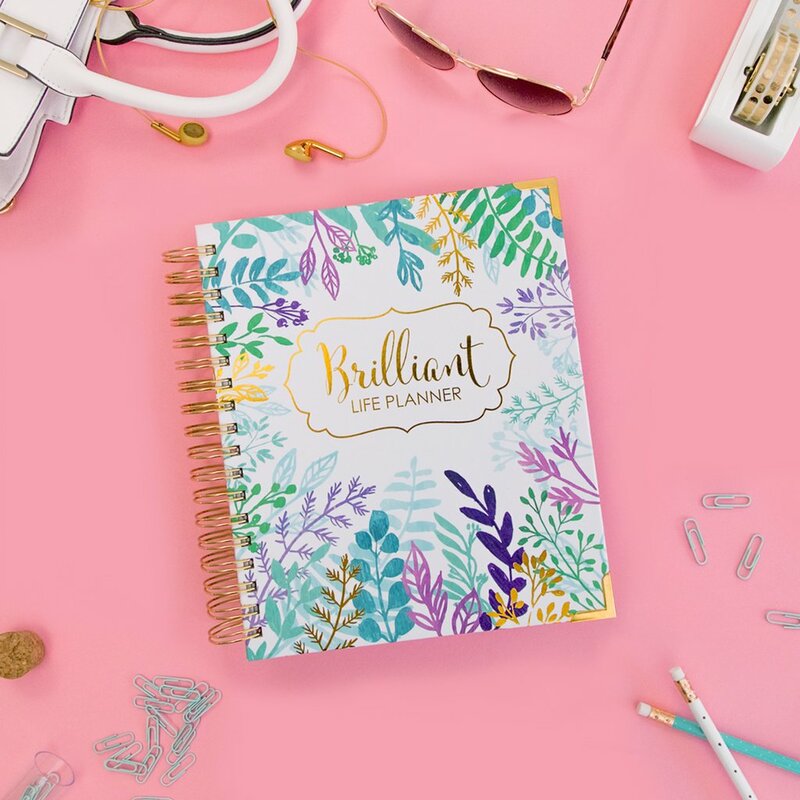 I look at what all the gurus online recommend, and usually, I say, “Nah, not gonna do that!” As a result, I tend to be a lot happier and less stressed out than your average online business owner. 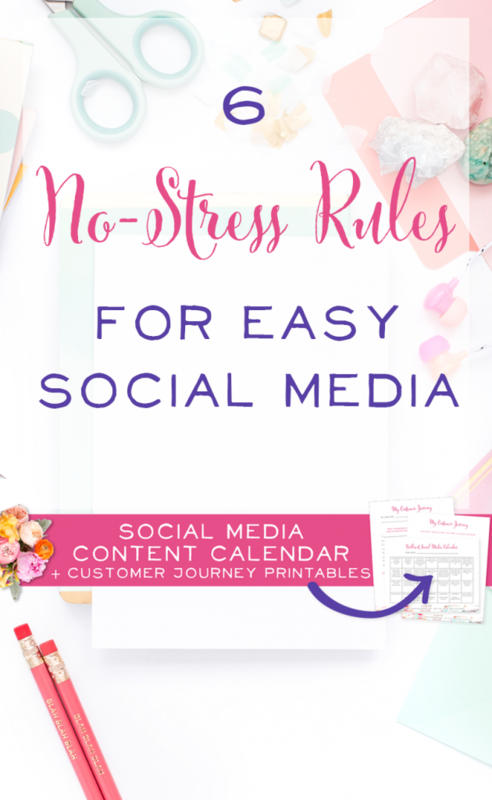 And preventing stress is KEY if you want to use social media to build strong connections and raving fans, and sell your amazing products. Instead of following the rules, I make my own rules. 1.) Don’t do what everyone else is doing. The quickest way to burn out (at just about anything!) is to try to be someone you’re not. 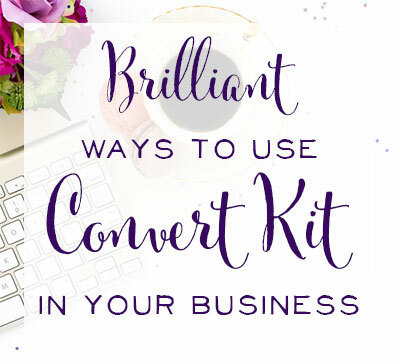 It’s really easy to see what all the biggest influencers, bloggers, or biz owners in your niche are doing and think that in order to be successful, you’ve got to do all the same things. Nothing could be further from the truth. There are hundreds of different ways to grow your business, and none of them are going to work if they feel forced and awkward. Let me give you an example: I see a ton of biz influencers doing IG stories where they talk to the camera and share all these little biz quick tips. I see a lot of lifestyle influencers doing this too — just chilling in their cars, talking to the camera about whatever funny observations they have to share about their day. When I tried sharing business advice in this format a while back, it drove me CRAZY! I’m a super wordy person! My 30-second clips were always cutting off at super awkward moments, then I’d lose my train of thought, and also, every video took FOREVER to upload! So people who started watching the story right away weren’t even seeing all the clips. It felt really awkward and time-consuming and also discouraging to see how much time I spent creating the story and then the HUGE drop-off of people after the first few sections. I’m sure I could learn how to use this medium better over time, but it doesn’t feel worth it to me when I can hop on Facebook Live and create a much more natural, finished product where my audience can interact with me too! And you know what else I realized? I really don’t like other people’s “talking at the camera” IG stories. I usually swipe right past those and only look at the stories that include graphics and text. If I’m my ideal customer, it probably makes sense to create the types of content that I personally like to see! So that’s what I try to do. Now clearly, we all have to stretch ourselves and find ways to keep growing and improving, so my advice for you here is to peruse social media as though you’re just part of the audience. Pretend you’re that ideal customer of yours. What do you see? What do you really ENJOY on social media, and what’s just kinda “meh” to you? Stretch yourself on the areas of social media that you personally enjoy consuming, and don’t worry about the rest! 2.) Don’t post every day! Here I go… giving you completely different advice than what others are telling you, but hear me out: If you feel pressured to post every day, you’re going to get overwhelmed. An every-day schedule doesn’t leave any room to unplug and enjoy your life. And it doesn’t account for those extra-busy weeks we all have. Take a look at the diagram below. Do you notice any trends in how many days I go between posting and how much reach my post gets? I sure don’t! 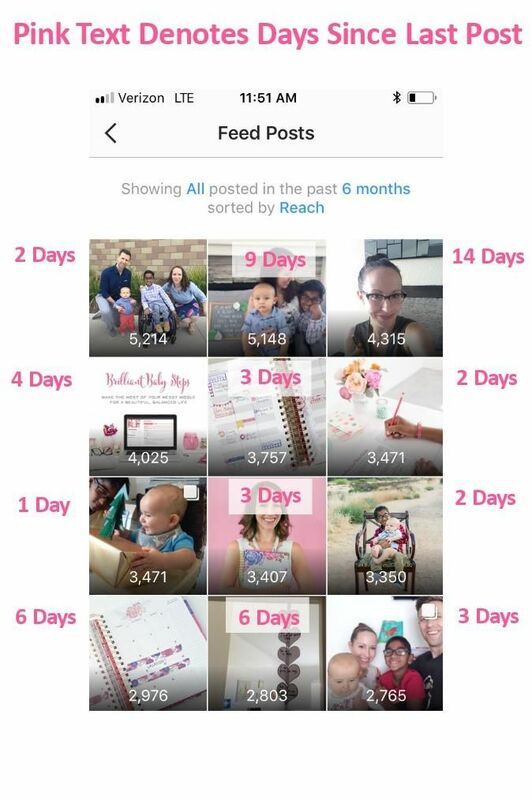 Some of my LONGEST breaks from IG (14 days, 9 days, 6 days) have also resulted in posts that get the most reach! And usually, when I’m posting every single day or every other day, each post gets less reach. In general, higher reach is very closely tied to my level of engagement on a particular post. When I connect with my audience and give them the content they like, Instagram rewards me, and they don’t care how long I’ve been away! Now, granted, if I posted every day, and then consistently reached 2,000 people each day, could I, in theory, be reaching MORE people overall? Maybe, or I could start to see my reach decline further and further if my posts weren’t as good, and more people ignored them. I post when I have something valuable to share, and honestly…when I feel like it! I keep social media fun, and that makes a world of difference for me! I would much rather see you focus on high-quality posts that your audience will LOVE instead of posting just to post. Consistency IS more important when you’re first starting out. You haven’t built up a long-term relationship with your audience yet, so you DO want to stay top-of-mind before they lose interest. But remember this: Consistency is utterly worthless if it’s consistent crap. Yikes! I know you’re capable of putting amazing content out into the world. Focus on that instead of some arbitrary number of times to post each week. Post as often as feels enjoyable to you. Post as often as you feel you can put something great online. 3.) Don’t check in every day! Yes! I feel SUPER strongly about this one because social media can steal your entire life away from you if you’re not careful! Here’s what I try to do: Post on Instagram and Facebook on a given day. Respond back to comments and questions a little later that day. Then, I take the next day completely off from social media. 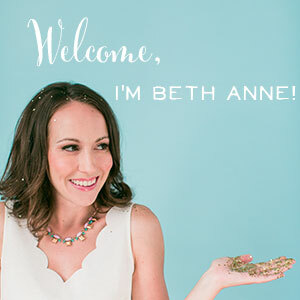 I’m holed up, working on email and blog content, product development, and marketing plans. The following day, I’m back on with a new post to share, and right after I post I check in on straggling comments from my 2-days-ago post. This prevents me from getting sucked down the social media rabbit hole on a regular basis. 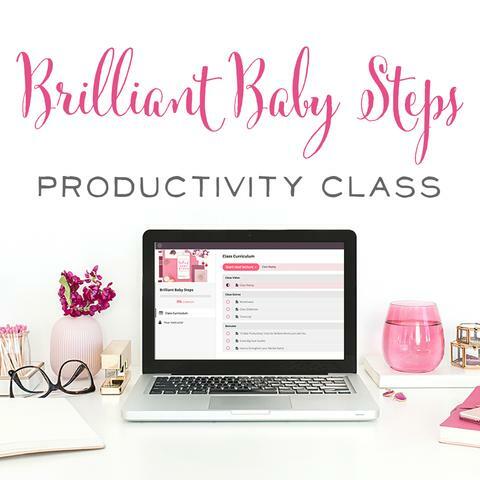 As much as I love seeing what friends are up to and cheering for my favorite biz moms, I can’t spend an hour (or more… let’s be honest!) on this every day. There are so many other things I want and NEED to do with my life. My exception to this rule is during a special promotion. When I’ve got a limited-time offer running and people only have a few days to decide if they’d like to purchase, I don’t want a lack of response to be what stops them. I also find that I get way more questions and comments during promotions, so if I don’t respond quickly, I’ll end up with a big backlog! 4.) Don’t take all your own photos. I remember when I first dug into Instagram a few years ago and I was completely gung-ho about it! I saw all of these shop owners and influencers posting gorgeous photos every day, and I was determined to be like them. So for a month or two, I took photos of my entire life and was constantly begging Chris to get these model-wannabe shots of me. I was constantly posing and constantly feeling super awkward in public trying to get these lovely shots. I also took out my photo props and backdrops several times a week — always trying to capture the perfect shot. It was exhausting and stressful, and completely unenjoyable for me. Someday, I’d love to improve my photography skills, but now is not the right time, and, truth be told, I don’t think I’ll ever enjoy modeling for the camera and trying to capture my whole life online. So, I turned to stock photos and to Ellen, my ninja photo editor, and I haven’t looked back. I do work with a professional photographer on occasion, but then I generally make those photos last all year (or two!) by bringing on Ellen’s Photoshop expertise to mix things up. You can also make your social media presence stretch further by collaborating with friends to give each other shoutouts and feature each other’s photos on your profiles. Finally, find some happy customers or send your products to people who would love them so you can get photos from them too! There are a lot of ways to stretch your photo library so you’re not pulling out props and hunting for the right light on a weekly basis. I hear a lot of people talk about looking polished for live video or Instagram Stories, and when I first started using these platforms, I always felt like I had to have my hair down and fixed. For a Mama who wears her hair up in a messy loop (I can’t even master the messy bun!) 6 days a week, this felt like a big burden and kept me from showing up on Facebook Live. So, sure… maybe put on a little lip gloss and get rid of the forehead shine, but DON’T feel like you have to look perfect to show up on social media. Be YOU, my friend! That’s the best thing you can offer the world. 6.) Remember WHY you’re doing what you do. This is the most important tip when it comes to preventing social media stress. It’s key! It’s so easy to obsess about the numbers — how many followers did I get, how many comments, what’s my traffic like this week? — but when we do this, we’re much more likely to feel frustrated and stressed when the numbers don’t add up. Life (and your mood!) are a ROLLERCOASTER when you obsess over those numbers, and friend, you’re worth a whole lot more than whatever you think they’re telling you. At its core, social media should be about building relationships with our audience, and the best way to prevent burnout is to focus on THEM. Make your audience the hero. Look for ways to serve them each week. Appreciate the amazing people who are hanging out in your corner of the world right now. With every post, you’re learning, growing, and improving your skills. With every post, you have the opportunity to meet a few people where they’re at, and that’s pretty amazing! Feel better? Then use these tips to prevent social media stress and burnout and have FUN! Your audience will sense it when you do, and they’ll love what you’re doing even more! Psst. 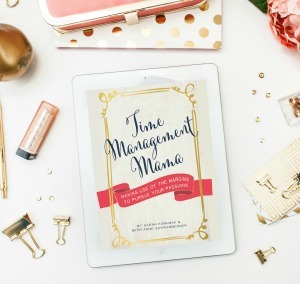 Free Social Media Content Guide for you if you haven’t grabbed yours yet! 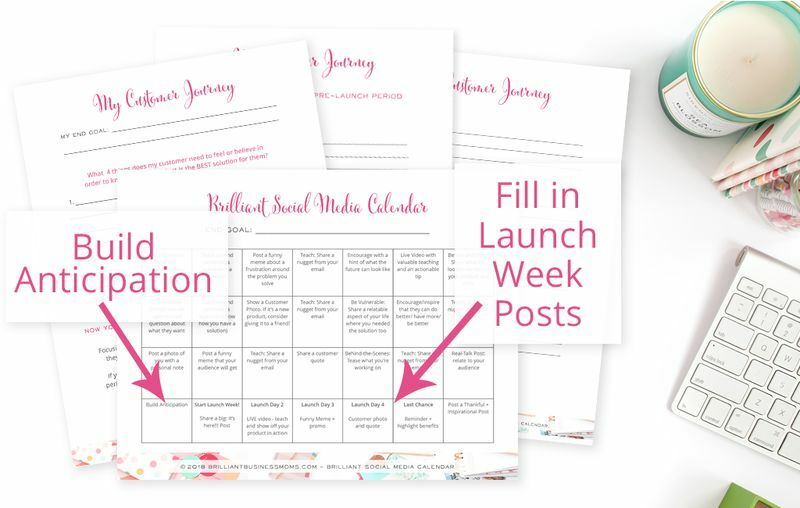 Grab your Social Media Content Calendar + Customer Journey Printables right here, and you're ready to create and share content that's useful, that builds relationships, and that gets your customers super excited for your product! You've got this, Mama! Now it's your turn to head out there and Be Brilliant!